Melissa McCarthy is a whole new person in her upcoming movie Can You Ever Forgive Me? and it might be the best role she’s ever had. She plays a real person in this true story – a curmudgeonly failed New York writer named Lee Israel who became a literary forger out of financial necessity. (Her cat needed expensive surgery.) She’s also an alcoholic with a dour personality and no interest in fashion. But she’s clever, and starts forging amusing letters, supposedly written by Oscar Wilde, Dorothy Parker, and other notables – they sell to collectors for a high price. 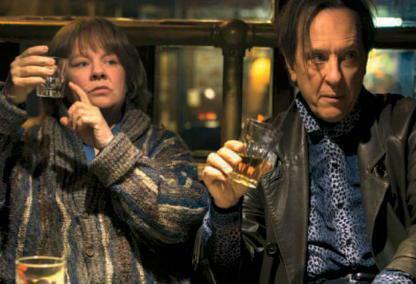 Her adventures and eccentric friend played by Richard E Grant make for a smart and amusing comedy/drama.